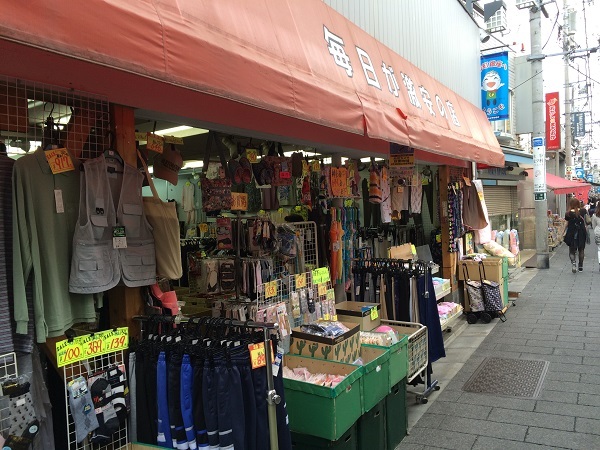 Mainichi ga Gekiyasu no Mise (Every day Is A Bargain Shop) on Sunamachi Ginza Shopping Street certainly lives up to its name, selling a variety of goods at breathtaking prices. 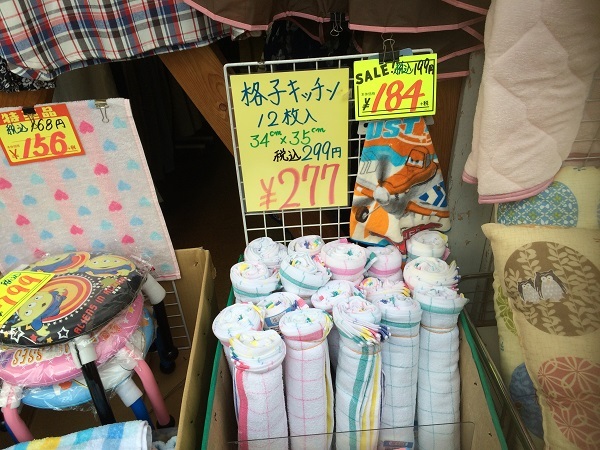 Strolling down the street, one’s eyes are immediately attracted to the incredible value of the socks on display outside. 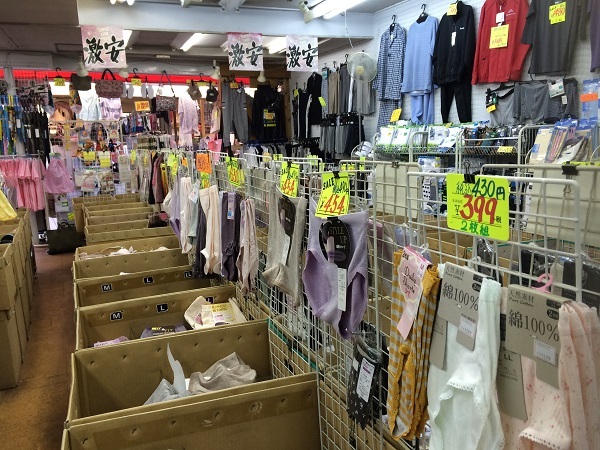 Inside, the shop is a veritable cornucopia of socks, underwear and a whole lot more. 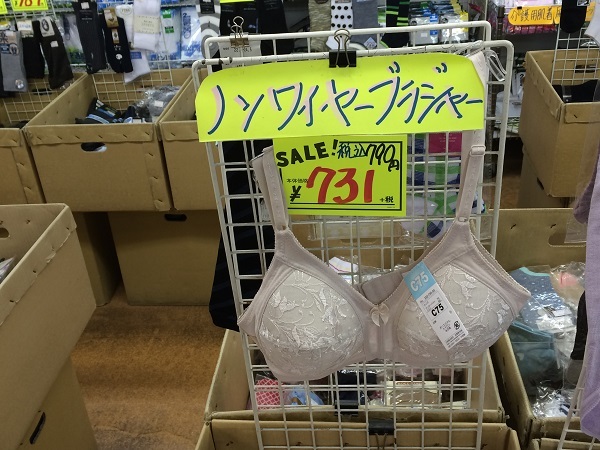 Ladies underwear and bras in a variety of sizes for the fuller figure are sold at exceptional values. 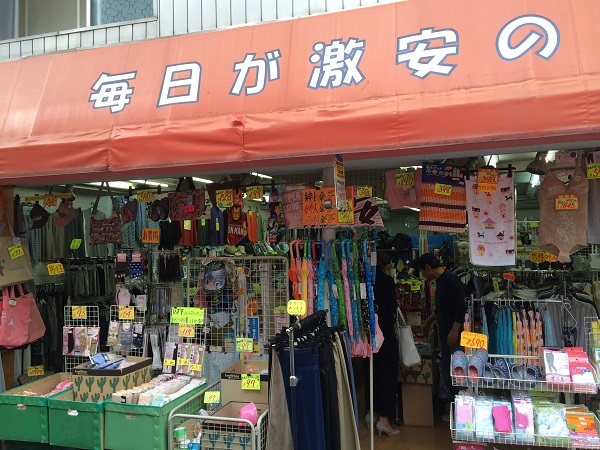 The shop attracts many foreign ladies for its selection of sizes, quality and affordability. Wireless bras, comfortable and well-made, are also very popular. 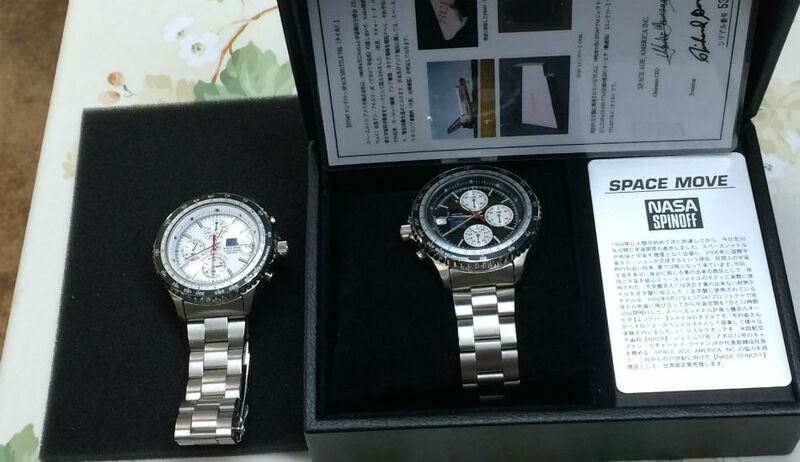 They are designed in Japan and manufactured overseas to the highest specifications. 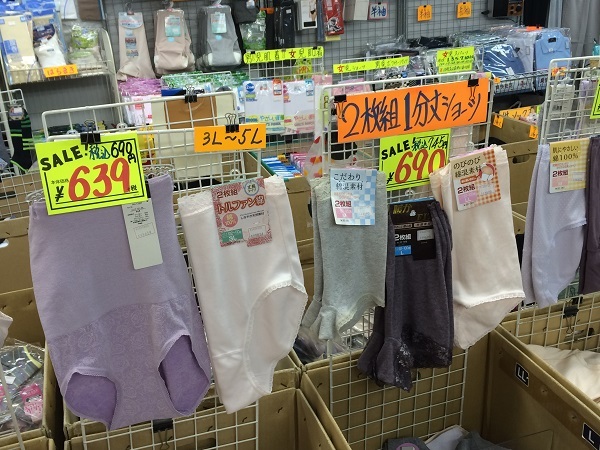 A wide range of comfortable ladies’ underwear is also on sale. 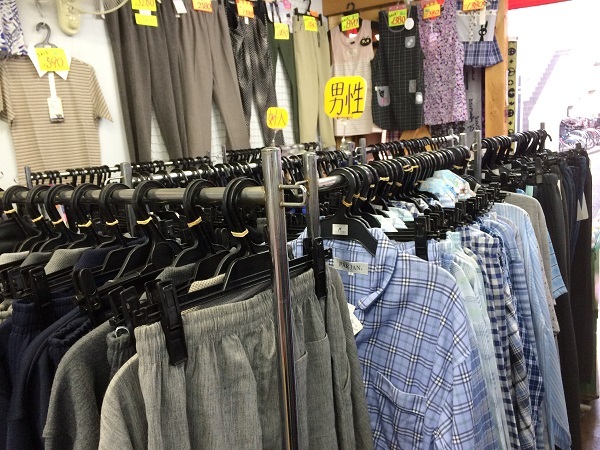 The owner, in the business here for 11 years and 25 in total, noticed the lack of men’s clothing in Sunamachi Ginza, hence the wide selection of underwear and pyjamas for gentlemen. Once again the products are of good quality and reasonably priced. 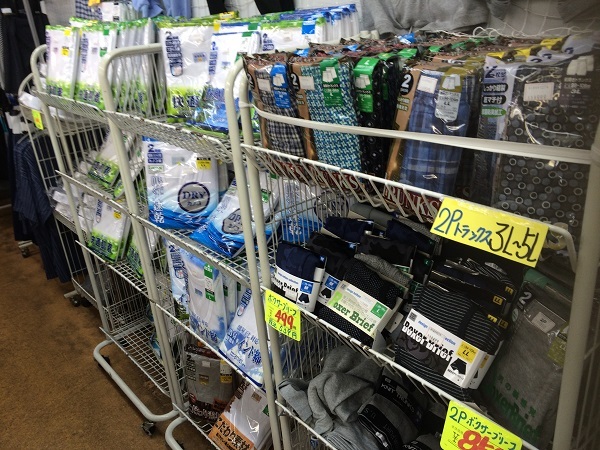 One could even find some fundoshi, traditional Japanese underwear for men. 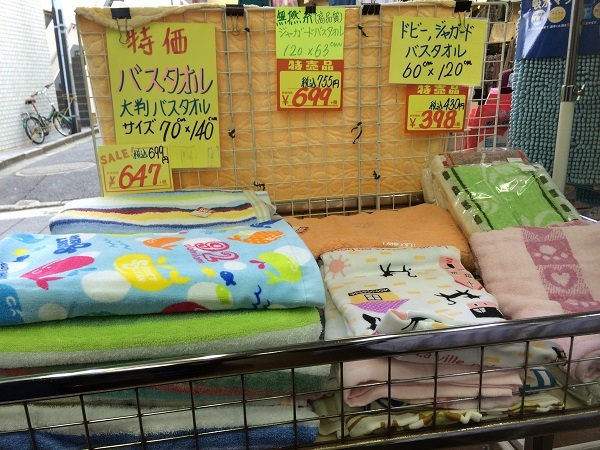 and a selection of rain goods. 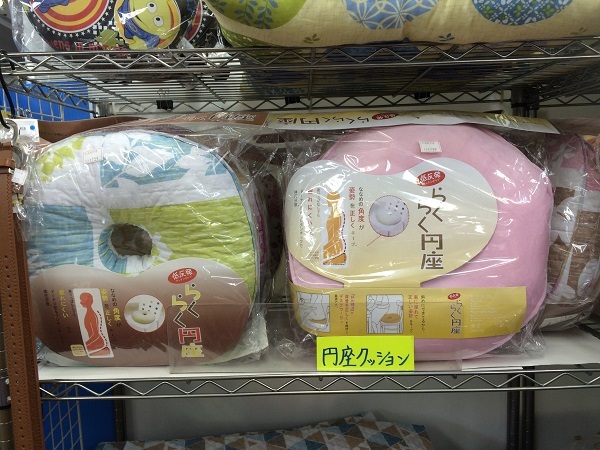 Doughnut shaped cushions are also sought-after items. 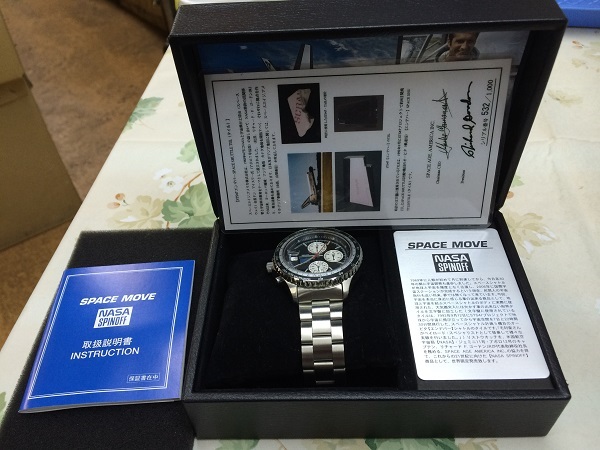 Perhaps the most amazing things of all are the NASA Spinoff series watches, created by Seiko for the American space program, and faced with actual tiles from the body of the space shuttle, Endeavour. 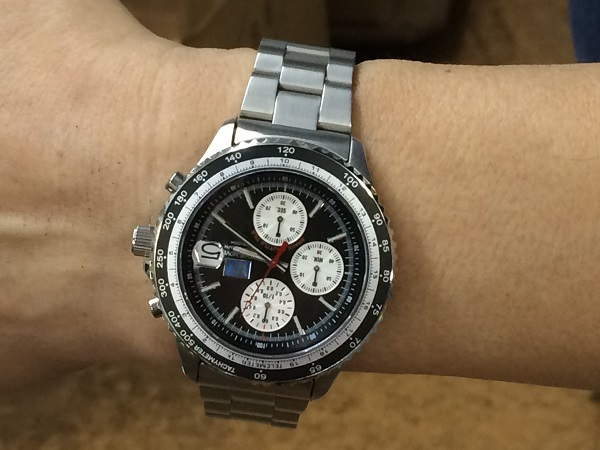 The proprietor of the shop was the original developer of this range, visiting NASA headquarters and negotiating to produce the watches. These are extremely rare and are a must-have for all fans of NASA products and space program spinoffs. And, like everything else in this treasure trove of a shop, they are priced at a dramatically good value!